Craving something sweet, but want to keep it healthy? 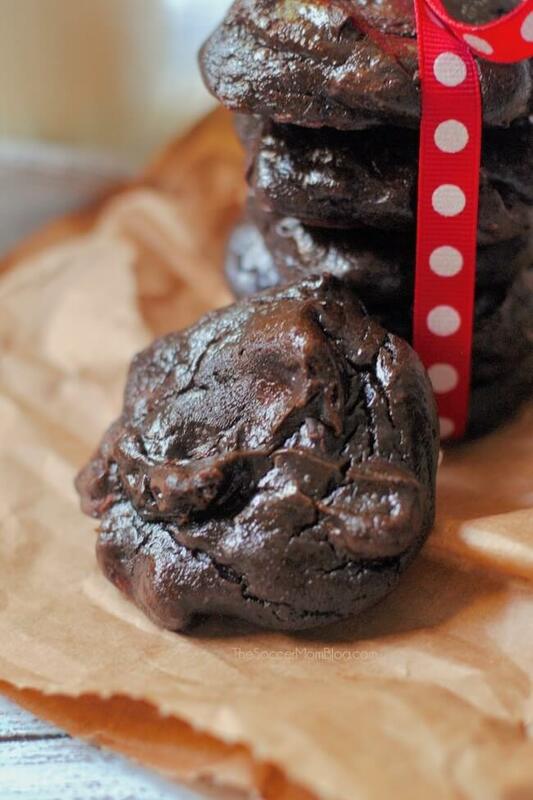 These chocolate avocado cookies are unbelievably rich and fudge-y and only about 115 calories each! Gluten free, and can be made paleo and keto friendly too! We just welcomed a new member into our family this summer, and while I avoid strict diets while breastfeeding, I still try to keep my eating pretty clean to shed the baby weight. Related: Read more about how I lose weight while breastfeeding without strict diets. In the last few weeks of my pregnancy, I developed quite the sweet tooth. I had to have a cookie or piece of cake every single day! I totally milked it while I could, but it’s not a habit I want to keep up in the long run. But that doesn’t mean the cravings stopped! Instead, I asked my husband if he would bake me a batch of our favorite healthy cookies. Why didn’t I think of this sooner?? 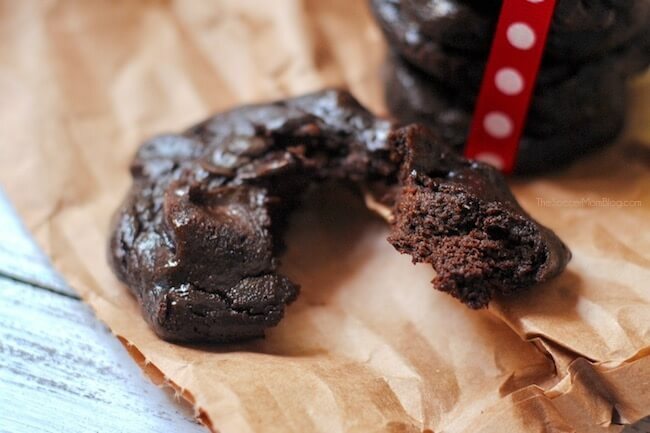 These chocolate avocado cookies have been one of my favorite go-to healthy desserts for a few years now. They’re so rich and fudge-y that I don’t feel deprived at all! In fact, I crave them! Even better, the kids love them too, even though they don’t normally like avocados. The girls were so excited when they heard we would be baking some this week! Our base recipe for chocolate avocado cookies is gluten free and a much healthier alternative to store bought or recipes that use white sugar and flour. However, I’ve also included a few easy substitutions to make these cookies fit into both Keto and Paleo eating plans. Related: Be sure to try our Chocolate Avocado Brownies too! 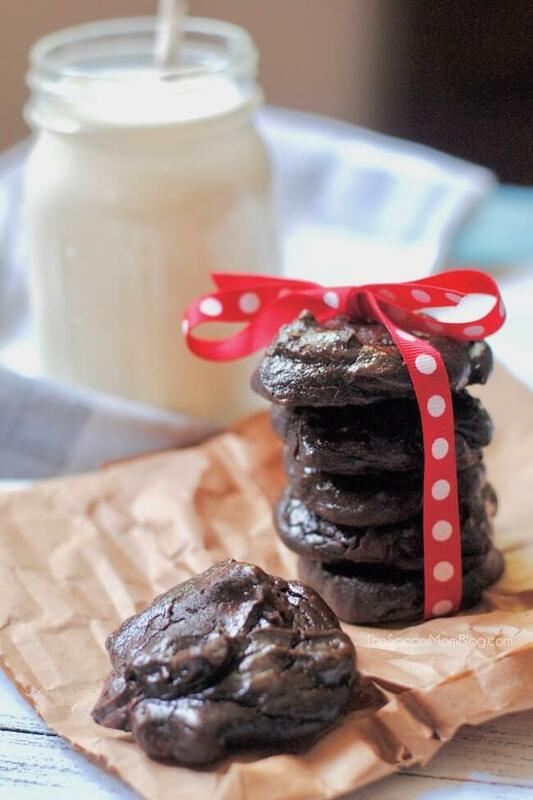 A free printable copy of this Chocolate Avocado Cookies recipe is available at the bottom of the post. Keep reading for video tutorial, prep tips, and keto/paleo modifications or click here to jump to printable recipe and video tutorial. Keep reading for step-by-step instructions, including modifications to make this a keto and paleo friendly recipe. A printable copy of our avocado cookies is available at the bottom of the post, along with a recipe video demo. 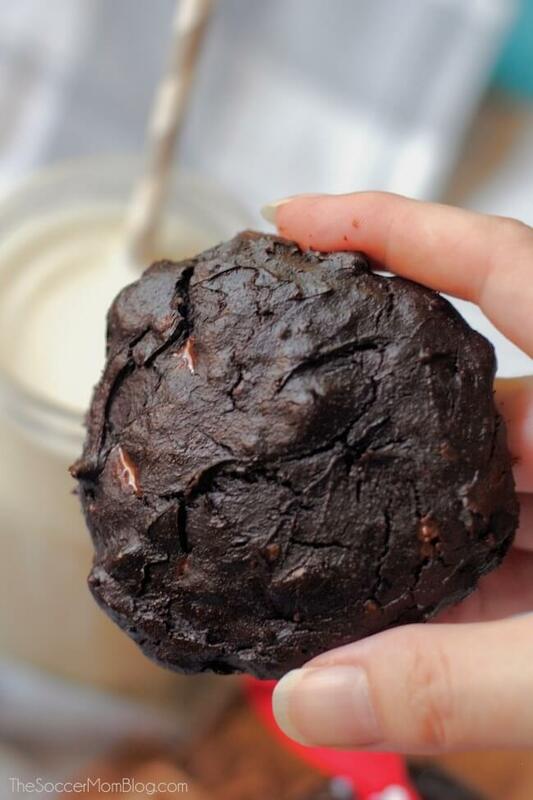 For your convenience, I’ve included shop-able ad links to some of the products used to make this chocolate avocado cookies recipe; read our full disclosure policy here. Hamilton Beach “Big Mouth” Food Processor — Ours has lasted us YEARS…it’s a great value! Silicone Baking Mats — We use these washable, non-stick mats for almost all of our baking projects. LOVE them! TIP: We bake our cookies on non-stick silicone baking mats because the cookies slide right off when they’re done. Then you can wash and re-use the mats over and over again! Storage Tips: These cookies will keep in fridge for 2-3 days or for about a week in the freezer, in an airtight container. Swap a sugar-free sweetener like stevia or erythritol for the coconut sugar in our base recipe (you might use a combination of both to minimize any aftertaste from these sweeteners). 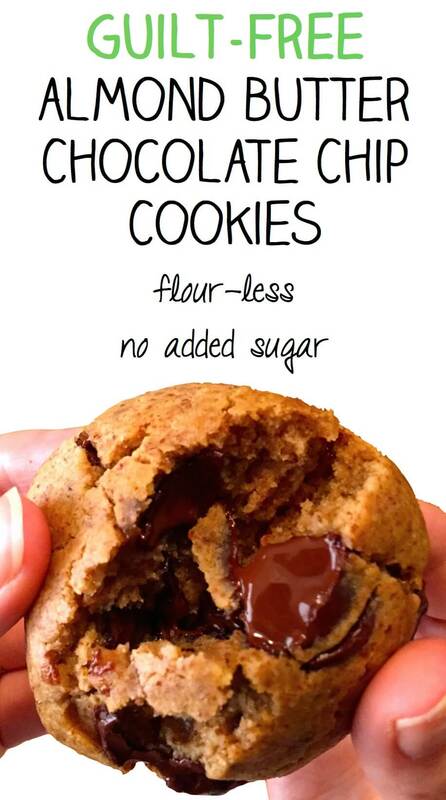 Skip the chocolate chips or use those sweetened with stevia or another low carb sugar substitute. Click here to see exactly how we make our Keto Chocolate Cookies! Coconut sugar is allowed on a Paleo diet, but it is recommended that you look for a 100% organic brand. You might also reduce the amount used to 1/3 cup. Note: The nutrition info listed below is for the base recipe. Making Paleo and Keto modifications will change these values. Make it into an ice cream sandwich! 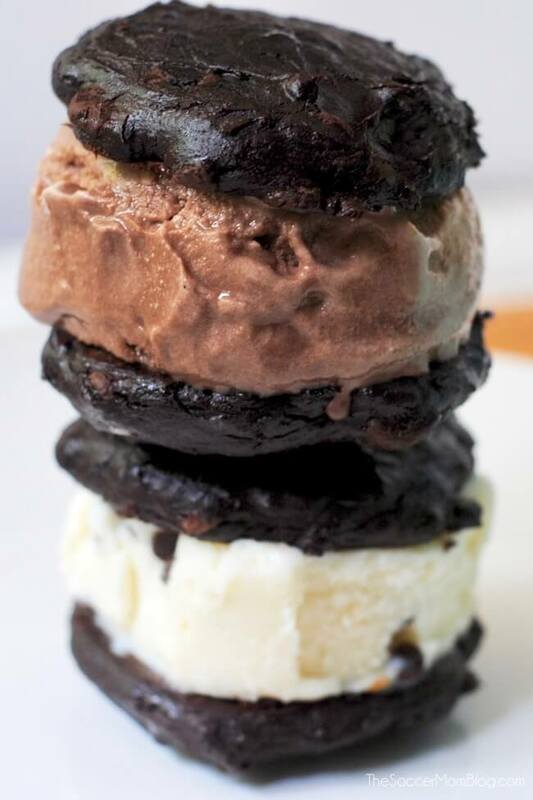 Click here for our Gluten Free Chocolate Cookie Ice Cream Sandwich recipe – it’s half the calories of the regular store-bought version, but SO decadent! Remove from oven and allow to cool to room temperature, then store in an airtight container in fridge (for 2-3 days) or freezer (for about a week). Note: The nutrition info listed above is for the base recipe. Making Paleo and Keto modifications will change these values. 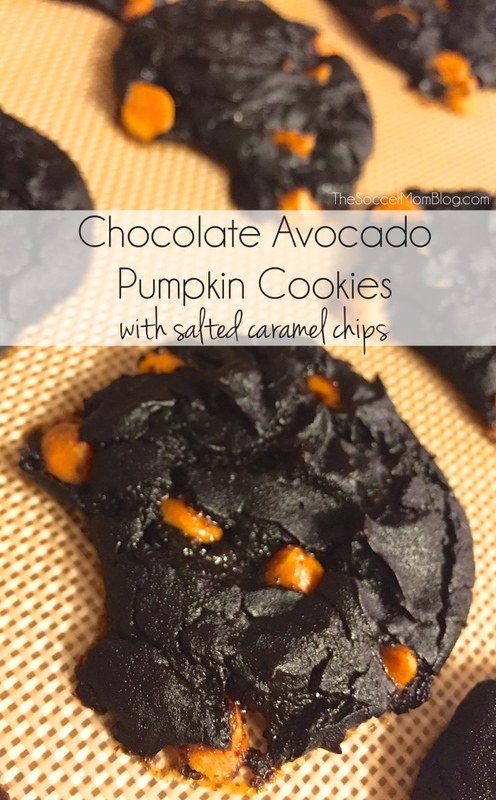 A spin on the above recipe, these Chocolate Avocado Pumpkin Cookies are the perfect fall treat! having grown up with a mom who baked with salted butter, i, too, miss salt in many sweet recipes…so i often add a pinch….these might be good with a pinch of cinnamon too! I’m Frustrated because I was excited to make it until I looked more closely at the ingredients list and at the nutrition label. This recipe looks delicious however with 10 net carbs and seven sugars it’s not keto friendly. You can only have 20 carbs a day on keto diet. I’m still going to make it and leave out the chocolate chips and I’m going to use Stevia. I’m Surprised you don’t you swerve or Stevia. I look forward to checking out your other recipes and just modify as needed. I’m doing keto for my husband and just healthy in general for myself. Hi Kristen – The original recipe is not keto, but in the post I explain how to make the avocado cookies keto-friendly. 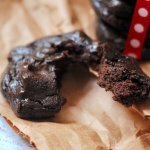 I also have a keto only website: How2DoKeto.com where I posted a Chocolate Keto Cookies recipe, and lots more of our favorites! (My husband and I have been eating keto this year). Hope this helps!